BANGKOK – Dr Eden Y Woon has assumed office as the ninth President of the Asian Institute of Technology. A former Vice-President for Institutional Advancement at the Hong Kong University of Science and Technology (HKUST), he took over from Prof. Worsak Kanok-Nukulchai, who had served as president for over five years. Dr. Woon was most recently the Vice Chairman of Alba Group Asia. Alba Group, based in Berlin, is one of the world’s leading environmental engineering and services companies. Starting from 2010 until November 2017, Dr Woon was the Vice-President for Institutional Advancement at the Hong Kong University of Science and Technology (HKUST). Dr. Woon has wide-ranging experience in the military, private sector, academia, and diplomacy. He has also worked as China policy advisor to the US Secretary of Defense. 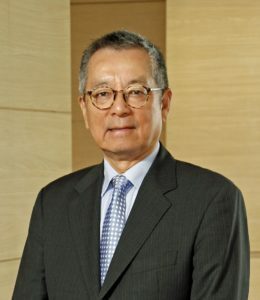 From 2006 to 2010, Dr Woon was based in Shanghai and was the Managing Director of Li & Fung Group’s China Corporate Office and Managing Director of Toys ”R” Us China. Dr Woon has also been a Vice-President of Starbucks Coffee Company in China. 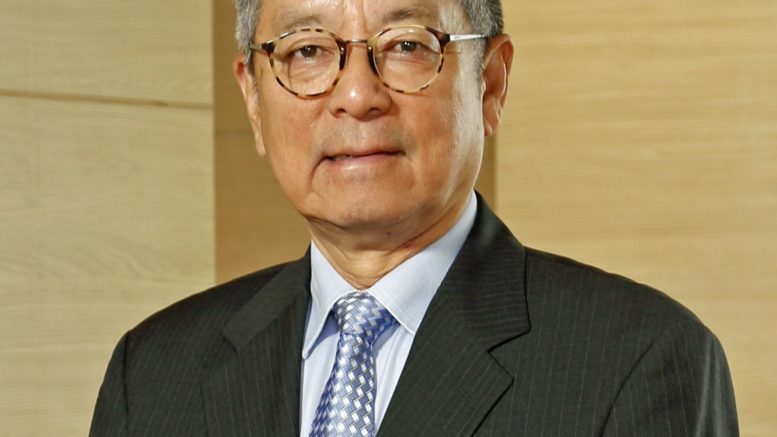 Dr. Woon has also served as CEO of Hong Kong General Chamber of Commerce from 1997-2006. In the United States, he was the Executive Director of the Seattle-based Washington State China Relations Council from 1994 to 1997. Dr Woon served in the US Air Force until 1993 when he retired as a Colonel. Before that, Dr. Woon taught Mathematics at the US Air Force Academy for six and one-half years, becoming an Associate Professor. His initial assignment in the US Air Force was as a computer analyst in the Air Force Systems Command. Dr. Woon received his BA degree (Phi Beta Kappa) from the University of Iowa and his MA, MS, and PhD degrees (all in Mathematics) from the University of Washington in Seattle. He assumed office on 1 September 2018, after a brief handing over ceremony held in the presence of the members of the AIT Board of Trustees. Welcomed by H.E. Dr. Subin Pinkayan, Chairperson of the Board, and former Foreign Minister of Thailand, Dr. Woon complimented outgoing President Prof. Worsak Kanok-Nukulchai Worsak for being an outstanding leader who helped in stabilizing AIT and providing it with a solid foundation. “AIT is at crossroads with a strong need to clearly define its relevance in view of fierce competition from higher education institutions all over the world, including the region,” Dr. Woon said. He described his vision of AIT as being a relevant and respected global technological and entrepreneurial institution serving Asia and the world. “To accomplish this, we need to be outward reaching and more proactive in forging international relationships and incorporating innovation and entrepreneurship into its positioning,” Dr. Woon remarked. He added that AIT must work more with enterprises in both research and education. Be the first to comment on "Dr Eden Y Woon takes over as Ninth President of AIT"